Our recruiters at Talent Search People are experts in creating the perfect CV. Here they share with you the top 5 tips for creating a CV it will land you that interview… and hopefully the job too! Make sure your CV is easy to read. Employers don´t have too much time to spend reading CVs so make sure the important information like your achievements are clear and easy to find. Keep your CV short and concise to keep a recruiters attention, it should not be longer than 2 pages of A4. *The CV hotspot is the space on the first page where a recruiter´s eye naturally falls- the upper middle area. Put your important information here to make sure it´s seen first. Show what makes you unique and a perfect candidate. Write down your achievements and back it up with numbers! Have you managed a team? State how many people. Were you responsible for increasing sales? Did you manage budgets? Have you worked in multiple countries? Use the facts and figures to support your statements. Both hard skills and soft skills are linked together and have equal importance. Include both in your CV, such as ´Fluent in French and German´ as a hard skill and ´Communication skills´ as a soft skill. It may take time, but the extra effort put into tailoring your CV for the post is more likely to land you an interview. The personal touch when applying for a role will show employers your motivation and we all know that motivated candidates have more possibilities of being offered the position. You have a whole page to show a recruiter who you are and what you´re good at and how you spend your time. 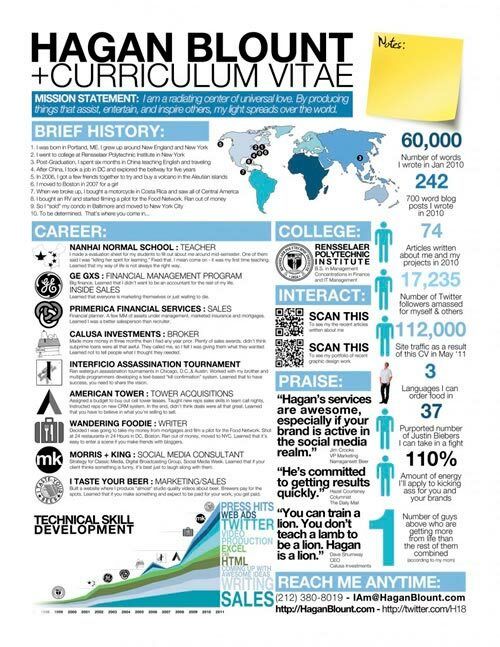 Don´t be afraid to be creative with your CV. Are you a top designer? Add a professional design to your CV. Are you a Photoshop expert? Include an eye-catching image. Do you have excellent networking skills? Include a link to your LinkedIn page. Use your skills to your advantage. If your skills are team work, sport related, musical or even helping at a voluntary group be sure to include them in your CV- everything counts! This may seem obvious- keep your CV up to date with anything new. Include your activities, experiences, courses and skills. It´s crucial to include everything that shows how you have gone that extra mile to develop and grow professionally. Remember to add in personal interests- it´s a chance to show how interesting you are!